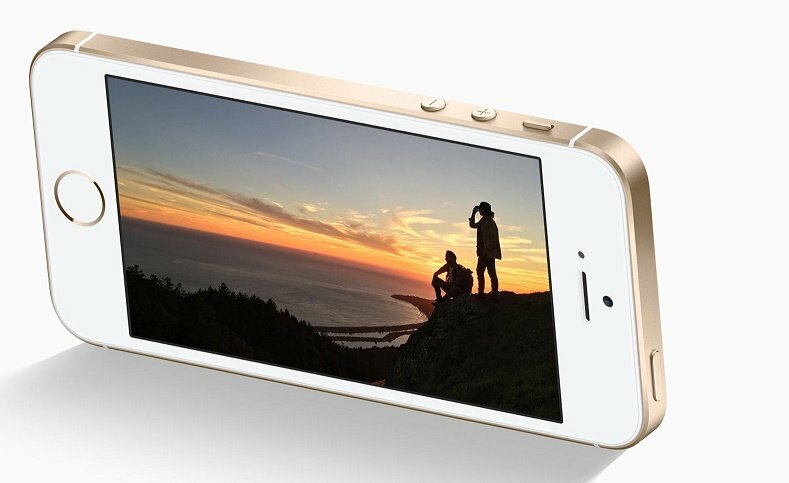 Apple iPhone SE: Review And Specification: Apple has revealed its new 4-inch smartphone iPhone SE. 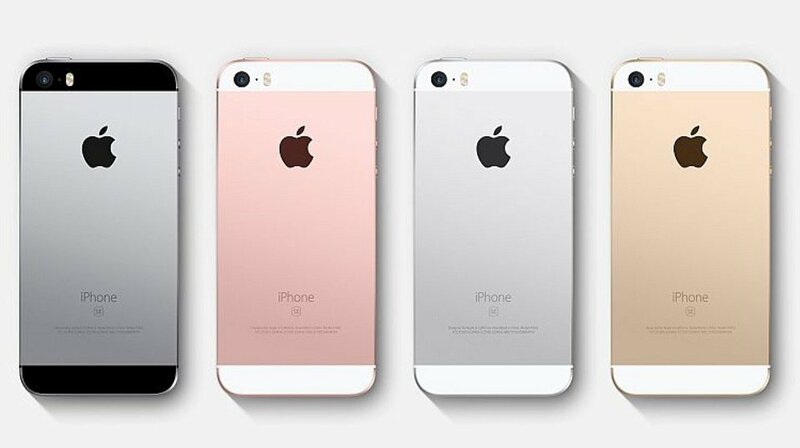 Apple adopt the same old design as iPhone 5 and 5s with the new Rose Gold color option. There is very minor design change that one can identify it by it matte-chamfered edges and a color-matched stainless steel logo finish the look and se written at its back. 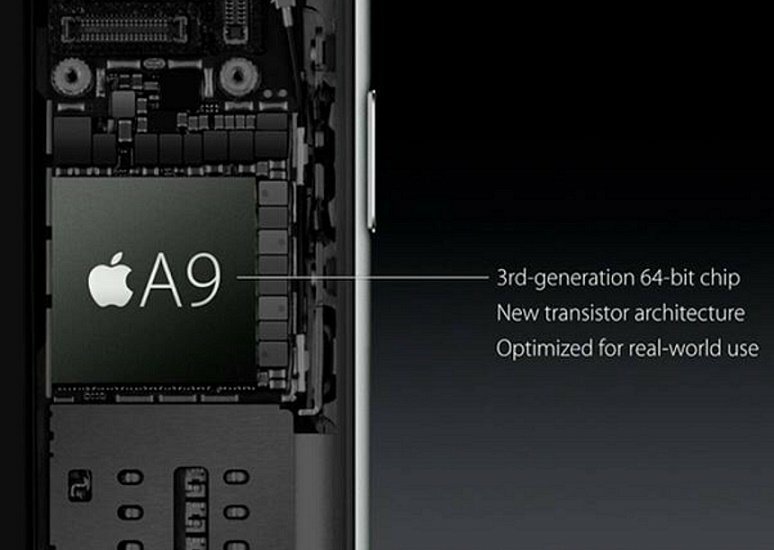 But from inside it has powered with Apple A9 chipset which it clocked at 1.84Ghz. 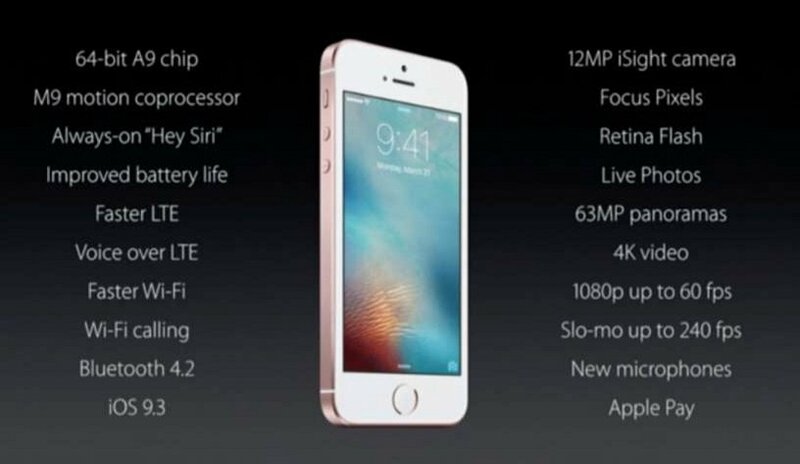 Basically iPhone SE is mixture of design of iPhone 5/5s and performance of iPhone 6s. Apple has said that they made this smartphone for people who still use 4-inch phone and Apple don’t want the to left alone because still many people like small form factor. Apple has use same dimension of iPhone 5/5s 123.8 x 58.6 x 7.6 mm (4.87 x 2.31 x 0.30 in) Weight: 3.99 ounces (113 grams). It may help to use old cases for iphone5/5s. iPhone use same 6000 series aluminum not the 7000 series use in iPhone 6s. 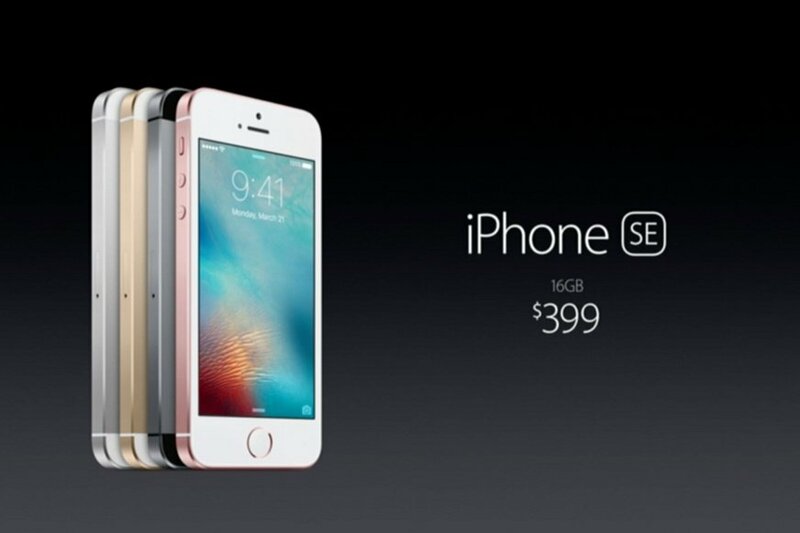 iPhone se adopts the new colour option that comes with iPhone 6s Rose Gold. It comes in 4 colour option Gold, Rose Gold, Silver and Space Grey. There is no improvement in the display it plays with the same old display of iPhone 5/5s Retinal Display of 4‑inch (diagonal) LED‑backlit widescreen display 1136‑by‑640‑pixel resolution at 326 ppi 800:1 contrast ratio (typical)500 cd/m2 max brightness (typical)Full sRGB standard Fingerprint‑resistant oleophobic coating. As Apple promised iPhone se comes with Apple’s Own A9 chipset which is clocked at 1.84Ghz which give same performance as iPhone 6s give as compared with iPhone 5s SE gives twice the C.P.U performance and Thrice G.P.U performance using PowerVR GT7600 (six-core graphics). While SE equipped with 2GB LPDDR4 of Ram Which makes it to do multitasking easily. 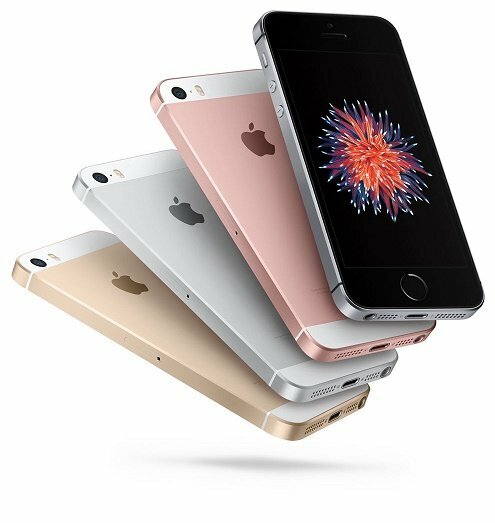 iPhone se comes with rear camera of 12‑megapixel iSight camera with 1.22µ pixels Live Photos Autofocus with Focus Pixels True Tone flash Panorama (up to 63 megapixels)Auto HDR for photos Exposure control Burst mode Timer modeƒ/2.2 aperture. 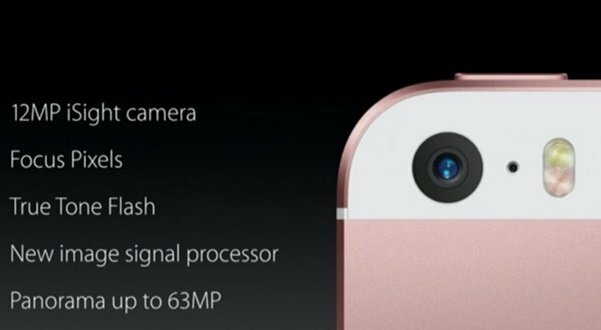 Front camera includes 1.2‑megapixel photos 720p HD video recording ƒ/2.4 aperture Auto HDR for photos. It also comes with retinal flash which makes screen brighter for low light imaging. There is little improvement in battery as 1624 mAh which make it 25% more runtime than iPhone 5s as Apple said. 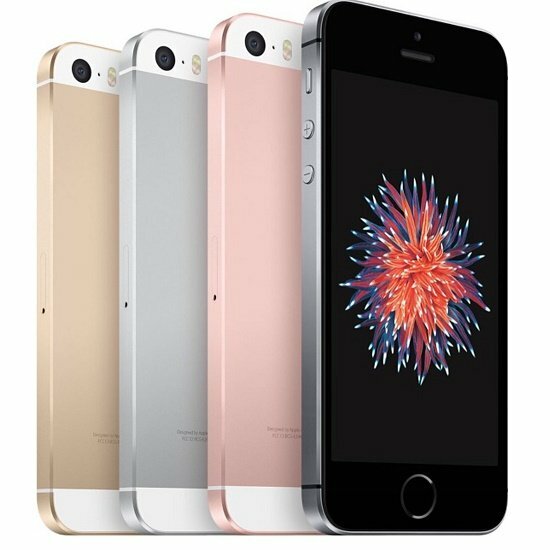 iPhone SE is same old phone with new internal there some element lacks new Touch-id 2nd gen is not included it use same old. Front facing camera is not bumped yet remains the same. Force touch or 3D Touch is not included and an oscillator also not included. It equipped with new LTE Band Wi-Fi 802.11ac, hotspot Bluetooth V4.2, A2DP, with A-GPS, GLONASS NFC(Apple Pay only) .Also M9 motion co-processor with always on Siri. It cost upto $399 base model i.e. 16GB and $499 for 64GB.